To anyone not familiar with L.A., the headline of “I Live In Los Angeles But Not In Los Angeles” might make you think I’m being evasive if not downright rude. But to anyone who knows Los Angeles, you know exactly what I mean because, well, Los Angeles is not really Los Angeles. 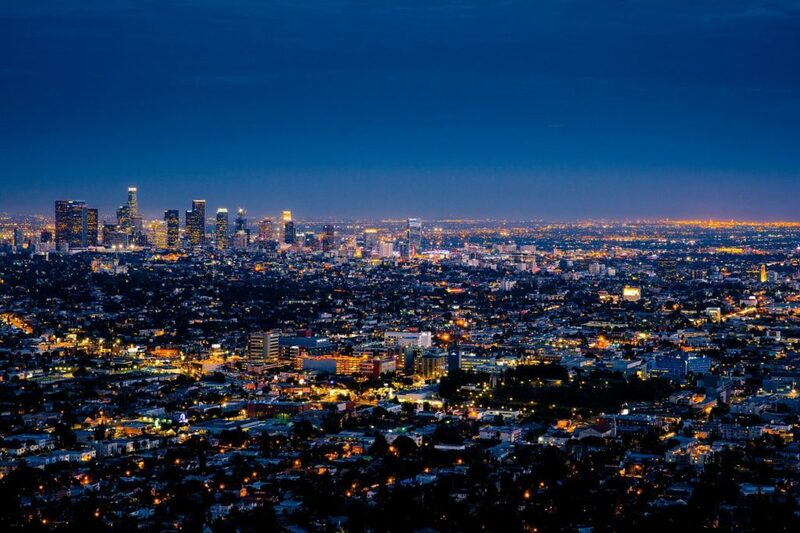 Los Angeles is a huge city, one of the biggest in the world. But it’s not truly a city; rather, it’s a collection of 88 communities combined together to form one giant metropolis. I live in one of those communities. That community is Hermosa Beach. It’s on the coast and provides the ultimate scene of the Southern California lifestyle. There are surfers, beach volleyball players – Olympic Gold Medalist Phil Dalhausser can frequently be seen practicing at courts on 8th Street – and people riding bicycles along a no-cars path along the sand called The Strand. And it’s as far from Hollywood as Paris is to Dubai. As least culturally. I bring this up because everyone has a perception of Los Angeles and as a local, I want to set the record straight and let you know what to expect if you ever travel here. Which, by the way, I completely encourage you do at some point. Put it on your “high priority” list of destinations to visit. I just don’t want you to be disappointed or, more likely, so overwhelmed by its size that you spend your entire time wondering which exit you should take off on the 405 freeway – or is it the 10 or am I on the 110 and help me, now do I get to Hollywood!? – and you never see anything of significance. Because this can happen in Los Angeles. My advice is to not rent a car. This goes counter-culture to everything you hear about Los Angeles, but hear me out here. Surely, you’ve heard about the traffic, but the real issue not the actual traffic but the traffic flow. Or, more precisely, the lack thereof. There is none, due to surface streets in major areas without turn lanes and freeway interchanges and on- and off-ramps designed by CalTrans engineers who must have drawn designs up on cocktail napkins while at Happy Hour in Hermosa Beach. And, as been chronicled here previously, Los Angeles has no public transportation. Rather, spread out your time in different areas. Spend a night or two in Hollywood. Go see the sights, walk the Walk of Fame, check the size of your footprints and handprints in the cement at Grauman’s Chinese Theater, snap a selfie from Hollywood & Vine of the Hollywood sign, take a cab or Uber to Beverly Hills and along the Sunset Strip. Then head to the beach. This, folks, is where you will see the best of L.A. Spend a night in Santa Monica with its Ferris Wheel on the pier – and be sure and have a beer at the legendary Chez Jay’s bar – and then head down to my town, Hermosa Beach. Rent a bike and even take a tour with Beach Cities Bike Tours, which is the only guided tour in Los Angeles where you don’t have to worry about getting stuck in traffic. Put on your bikini or your board shorts in this flip-flop community and just hang loose. This is where you will experience the true Southern California culture. Spend at least two days here. It is also where you will discover that the headline, “I Live In Los Angeles But Not In Los Angeles” really does make a lot of sense. Kevin Wilkerson publishes PubClub.com, which has its headquarters in Los Angeles. Well, sort of, it’s really in Hermosa Beach. He is the “Cali Correspondent” for CultureWithTravel.com. Enjoyed this perspective of LA! I’ve only visited once but there is so much to experience and yes, the beauty is in the beaches (I stayed at Laguna Beach), but the highlight of my trip was the absolute stunning view from SkyBar in the Mondrian Hotel at twilight — gorgeous! Sounds lovely, Valerie! I’d love to go back and visit! Thanks for sharing!